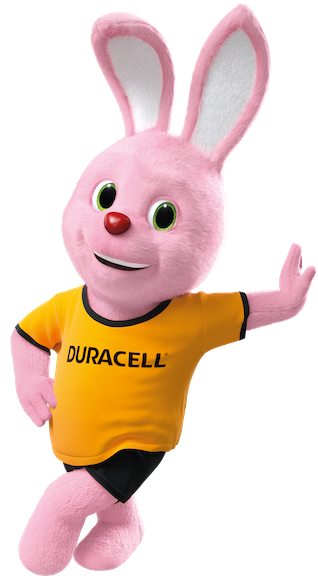 You can rely on Duracell Specialty batteries every day to power your electronic sensors which detect and measure movement, temperature, pressure… Duracell Specialty batteries are available in a wide variety of sizes to fit all the devices you need. Duracell 2032 lithium coin batteries – up to 50% more power*. *vs. Key Fob IEC standard test minimum avrage duration for 2032 Lithium Coins (www.iec.com). Results may vary by device and usage patterns. Duracell 2025 lithium coin batteries – up to 50% more power*. *vs. Key Fob IEC standard test minimum avrage duration for 2025 Lithium Coins (www.iec.com). Results may vary by device and usage patterns. Duracell 2016 lithium coin batteries – up to 50% more power*. *vs. Key Fob IEC standard test minimum avrage duration for 2016 Lithium Coins (www.iec.com). Results may vary by device and usage patterns. Duracell Specialty alkaline MN21 batteries – long lasting power, guaranteed. Duracell High Power Lithium 123 batteries – up to 40% more power*. *vs. IEC standard test minimum average duration for CR17345 size. Results may vary by device and usage patterns. Duracell High Power Lithium CR2 batteries – long lasting power guaranteed.